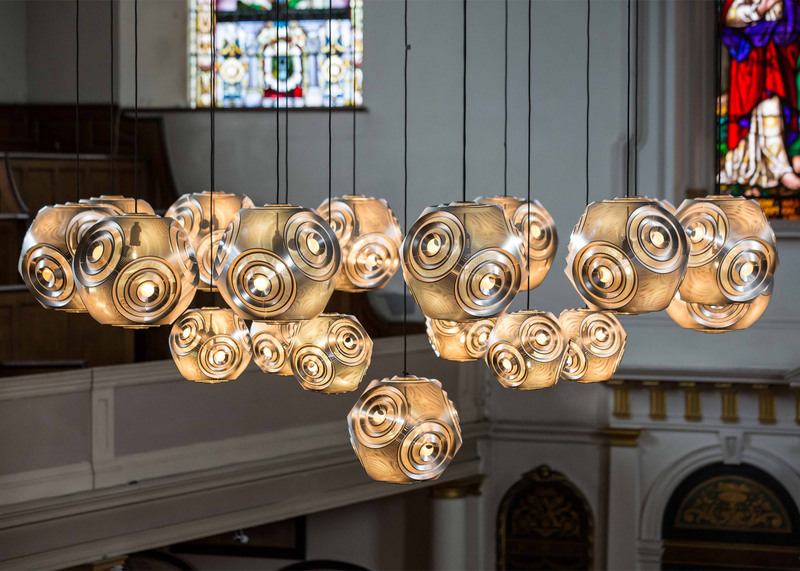 Clerkenwell Design Week 2016: British designer Tom Dixon has installed furniture and lighting inside a church in London's Clerkenwell, transforming it into a co-working space and restaurant (+ slideshow). 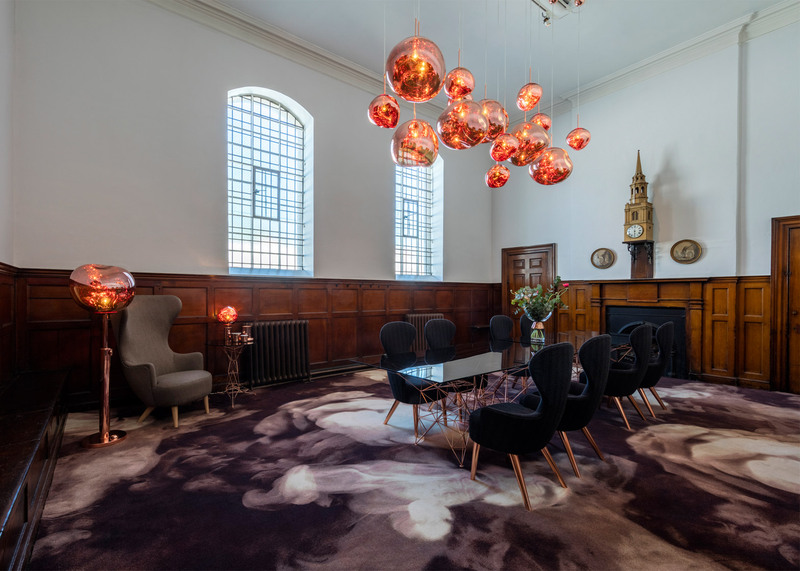 The designer took over the St James Church during Clerkenwell Design Week, which ran from 24 to 26 May. 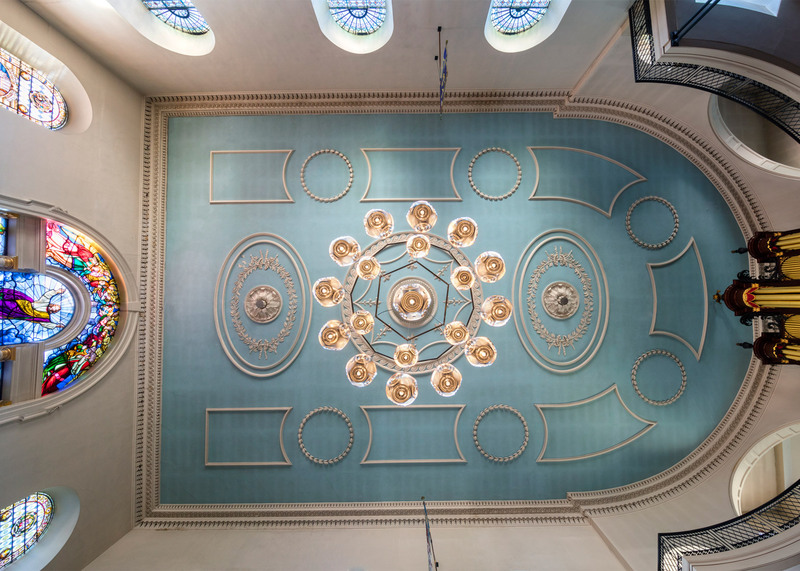 Dixon collaborated with the church's vicar Andrew Baughen, who saw the potential for the building to be used as a workspace by the residents of Clerkenwell. "Andrew Baughen [saw] the potential of making this unique building available to the daytime residents of Clerkenwell, the creative workforce and a place for the residential community to use as a resource," said Dixon. "The partnership [involved] us installing a co-working environment and a kitchen, all to be donated as permanent fixtures once the Design Week juggernaut rolls out of town." Inside the main congregation area, Dixon's geometric Curve lights are arranged in a grouping. 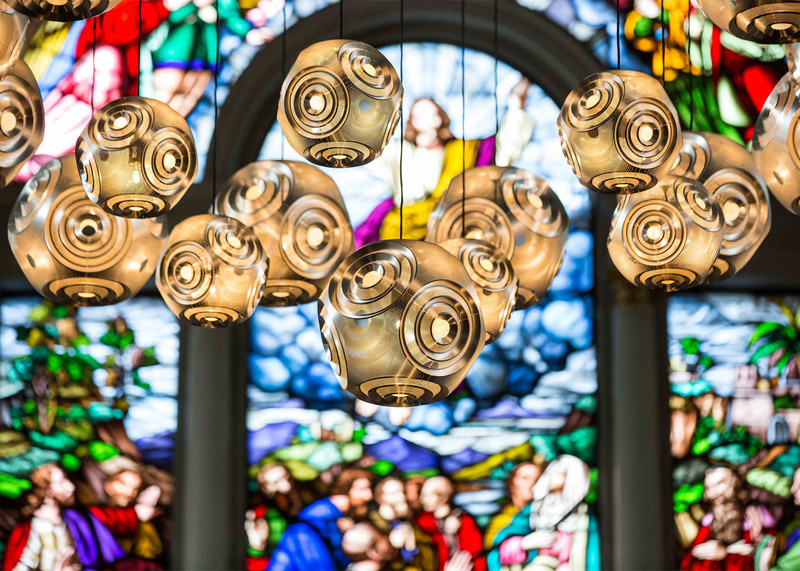 Their nickel silver coating contrasts with the brightly coloured stained glass window, and their punctured shades transmit light as a filtered glow. Close to the altar, an area with chairs and tables allows visitors to sit down and relax. Upstairs, a co-working space open to the public is furnished using Dixon's chairs and tables. 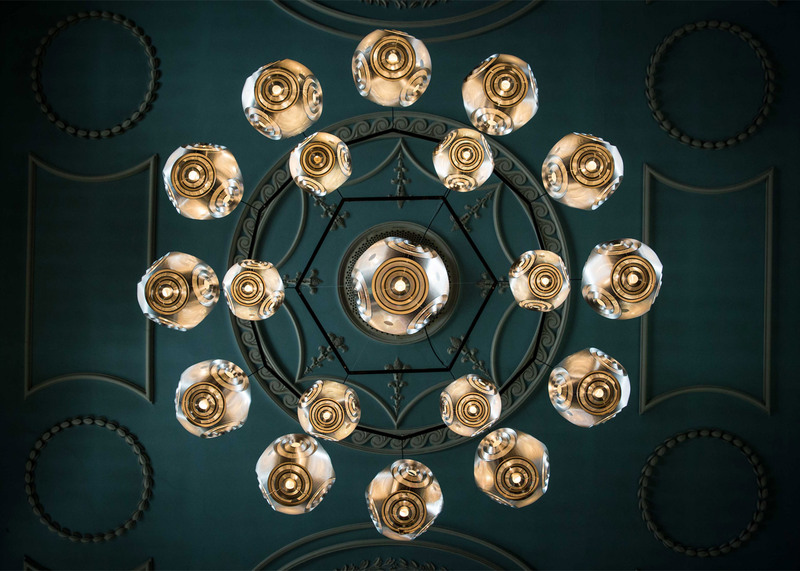 Dixon recently used his furniture and lighting to kit out a co-working space for freelancers and small businesses in the London suburb of Camden named The Atrium. Dixon is the latest in a string of designers who are creating co-working environments following increased demand from start-ups and freelancers. New York-based Leeser Architecture inserted angular and brightly coloured stairwells into Brooklyn's Coworkrs, while London firm Jump Studios also created a bold scheme for the Google Campus co-working space in Madrid.